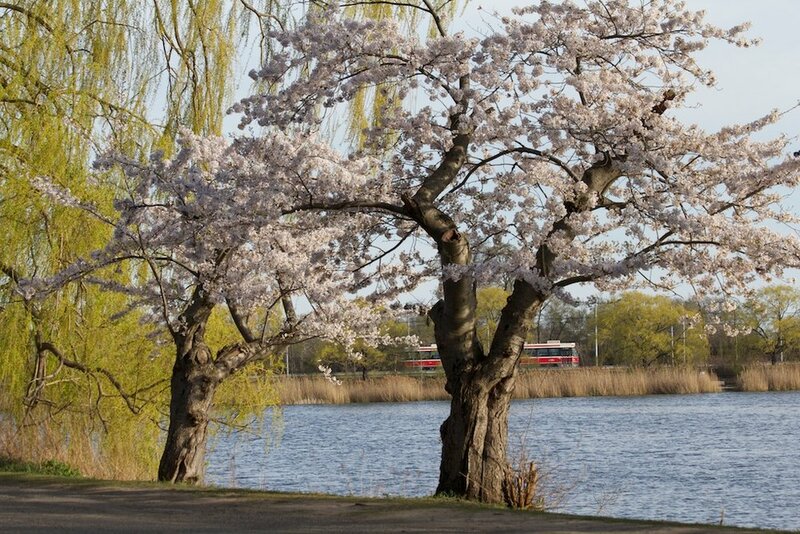 Quick Update: please respect the cherry Blossoms and the park. I've been receiving too many disturbing comments from people seeing others breaking branches or climbing trees and breaking limbs or even trying to take away parts of the blossom with them - even though you may think its harmless, the cherry trees are delicate trees, and in acting this way you are actually hurting or even slowly killing the trees from growing in the future. So please practice the true spirit of the Sakura Hanami, respect the trees and the beauty they serve for us all and help us preserve their health for many years to come.